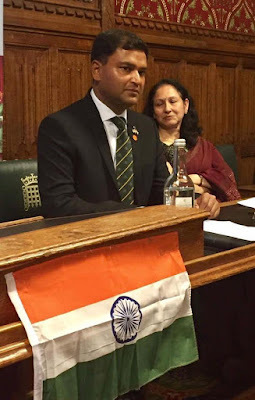 On 26th October 2017 Jammu and Kashmir day was celebrated for the third year in running in the UK Parliament to mark the 70th year of the accession of Jammu and Kashmir to India by the then Maharaja Hari Singh with a packed room and in the presence of key dignitaries. Originally celebrated as Accession Day, the date symbolises the union of the Kingdom of Jammu and Kashmir with India which was later ratified in the State Assembly. To mark the occasion Major Gaurav Arya, a war veteran and former member of the XVII Battalion, The Kumaon Regiment of the Indian Army was invited all the way from India to deliver the keynote address. The day was dedicated to the memory of the many soldiers and members of Indian Armed Forces who have sacrificed their lives on the line of duty. The programme was hosted jointly Jammu Kashmir Festival team led by Lakshmi Kaul, Curator & Director, Jammu Kashmir Festival and Bob Blackman MP. Watch Maj Gaurav Arya's speech by clicking here. Ms. Madhu Sethi, Counsellor (Political and International Organisation) graced the occasion by her presence and also delivered a speech congratulating the Jammu Kashmir Festival team for commemorating the date as Jammu and Kashmir Day, establishing the importance and relevance of this date. Also present among the dignitaries was leading businessman and philanthropist Mr. Rami Ranger who in a highly emotive presentation gifted to Maj Arya “Don’t Break Up India”, a book on the life of his illustrious father Shaheed Nanak Singh. To honour Maj Arya and to mark the immense contribution of the Indian Armed Forces, Mr. Blackman presented the Indian symbol of remembrance, the Marigold Pin Badge as a token of love and respect to the Indian Armed Forces. Mr. Blackman while speaking of the importance of the date, 26th October displayed a copy of the Original Instrument of Accession saying that the accession was full and final and ratified via a completely democratic process. Stating that the Indian Army is a moral army, Maj Arya said, “Indian Army is a moral army and for 70 years, it has stood between India and misfortune. We are not strong simply because we have the best weapons, we are strong because we are right.” Acknowledging the gross human rights violations by Indian Army in Kashmir, Maj Arya said, “Yes there have been human rights violations by the Indian Army and it was wrong. Every one of the soldiers responsible for these violations have been punished; many of who are currently in the Tihar Jail in India. If a member of the Indian Army does wrong they are punished. However, there are gross human rights violations of the Indian Army personnel posted in Jammu and Kashmir, where they are abused and attacked by terrorists – what about the human rights of the army officers and jawans?” Maj Arya also acknowledged the gross human rights violations of minorities in Pakistan and those of the Kashmiri Pandits who suffered persecution at the hands of Islamist fundamentalism. He added that it was after the insurgency in 1989-90 that the Indian Army was first deputed in the valley. Prior to that there was no need for the Indian army to be present in the valley which was largely peaceful. 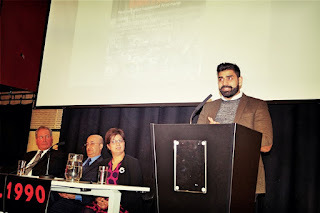 In addition to speaking at the Parliament, Maj Arya also participated in a panel discussion at Oxford University on Friday, 27th October. There was also a debate at Kings’ College London on Saturday, 28th October where he spoke along side academic and writer, Victoria Schofield, human rights activist and the son of JKLF Chief Hashim Qureshi, Junaid Qureshi; writer and human rights campaigner from Pakistan Occupied Jammu and Kashmir, Dr Shabir Choudhary; academic and political commentator, Prof Z U Khan and Lord Nazir Ahmed. 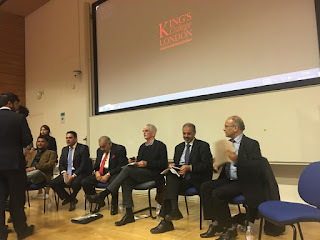 The otherwise peaceful debate at Kings’ college was disrupted when Lord Nazir Ahmed spoke in a highly provocative tone against India and made direct attacks at the fellow panellists and audience, pointing fingers at them in a highly defamatory tone. 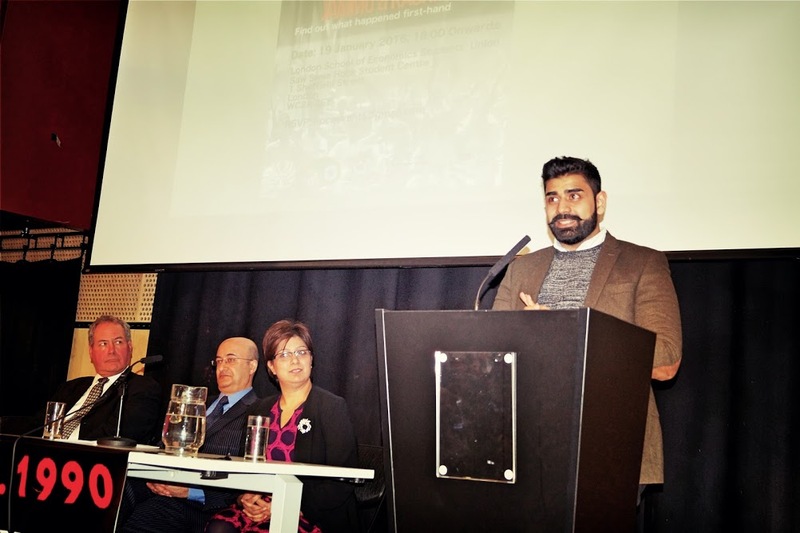 It is alleged that Lord Nazir Ahmed tried to influence the student organisers to dropping Maj Arya from the panel and also tried to change the order of the programme on the day via his office. The student organisers and authorities have received complaints against Lord Nazir Ahmed since the event from the attendees. A lot of Hard work and convincing has gone into documenting the heartbreaking stories of community members who had to leave their centuries old abode due to the madness that plaugued Kashmir valley in 1989/90. Since these are personal emotional accounts of the turmoil and the nightmare families had to go through , it remained etched inside memories and every time one would try to speak or think about it , a lump would block the throat. All those who consider that the truth should come out , or who share the pain of being exterminated or being thrown out of their land should read these personal accounts to find out the real story of human tragedy , which has remained largely untold . Available on Amazon for £2 and in print for £5 ( plus postage) to despatch in UK. Brought to you by KPCS UK , compiled by Anupama Handoo. Please mark your diaries for a very important seminar on 18th January 2017 to be held in Committee Room 12, House of Commons organised by Kashmiri Pandits Cultural Society, UK and hosted by Bob Blackman MP. The programme will start promptly at 7 pm and will conclude at 9:00 pm. During the 2 hours we will be looking at the issue of persecution of Hindus in the world especially in J&K region, Bangladesh and utilise this as an opportunity to understand the reasons for the same. We will also be looking at the Centre-State dynamics of Jammu & Kashmir, the creation of Child Soldiers in Kashmir, the plight of the Kashmiri Pandits suffering at the behest of the most recent incidents in the valley especially those who returned on the Prime Minister’s package. We will also be seeing a frank discussion on the plight of people living in the Pakistan Occupied Jammu & Kashmir (also referred to as Azad Kashmir) and the condition of minorities especially Hindus and Ahmadiya Muslims in Bangladesh and Pakistan. An insightful and intense programme, we hope to also utilise the opportunity to spend a few moments looking at efforts by individuals such as Francois Gautier in documenting the Persecution of Hindus in the form of a museum. I hope you will be able to join us and participate in this useful programme and show your support and solidarity to the many suffering communities. Facebook users may RSVP by clicking here. held at the London School of Economics on 19th January 2016. 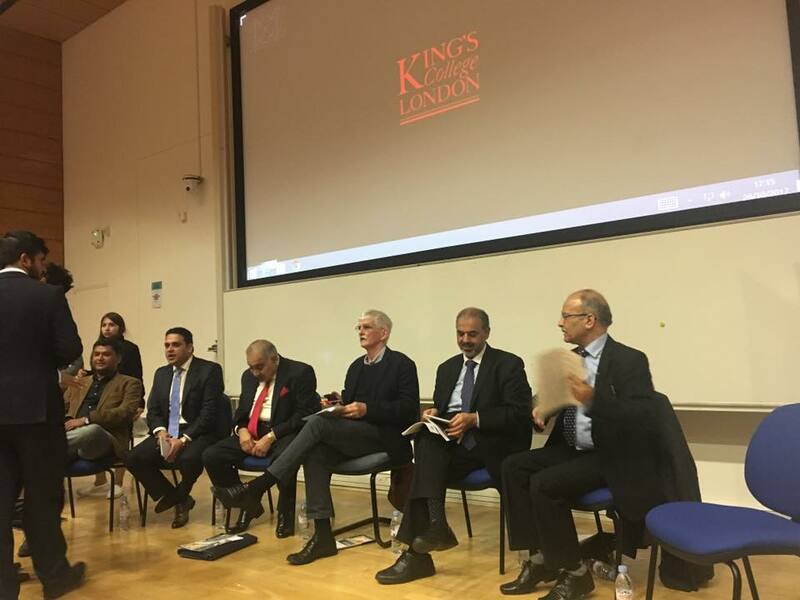 On 19th January evening, London School of Economics witnessed a historic seminar on the History of Jammu & Kashmir at the London School of Economics. Organised jointly by the Kashmiri Pandits Cultural Society UK, LSESU NHSF Hindu Sociey, LSESU India Society, LSESU Sikh Society with support from Voice of Dogras, Queen Mary Indian Society, King's College London India Society UCLU Indian Society and Imperial India Society, the seminar saw a participation of over 200 people, most of who were students. 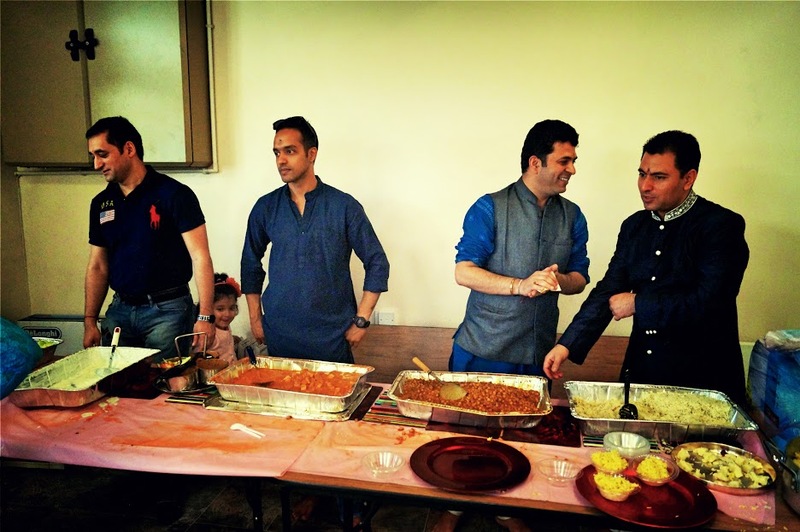 “In 2013, Lord Ahmad in a seminar at LSE said that the exodus of the Kashmiri Pandits was a myth created by Delhi. Later on last year I had the opportunity to attend a seminar at the Parliament organised by KPCS where the history of J&K was discussed and I got a chance to hear the Kashmiri Pandits’ perspective and Dogra perspective of the exodus. 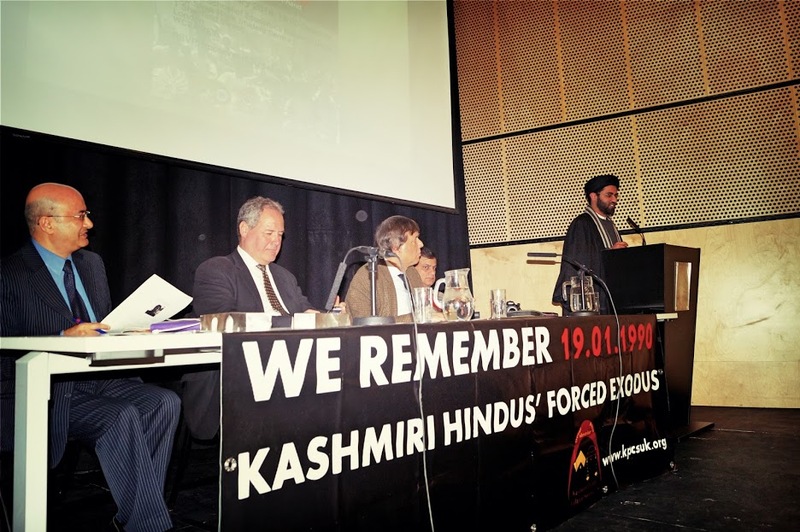 This was eye opening and we decided to organise a seminar at LSE putting forward the voices that were unheard of in the Kashmir debate”, says Vivek Nandha, a final year student of LSE. During the 3 hour long seminar, presentations were made by Manu Khajuria, Founder of Voice of Dogras and Dr. Vivek Kaul of KPCS UK, outlining the geography, history and ethnic break up of Jammu and Kashmir and going onto explain the historical events leading upto the Kashmir conflict. This set the backdrop to the understanding of the K issue. The key speakers at the seminar were: Dr Gautam Sen, a former LSE lecturer and a well-known writer & international political economist; Col (Dr) Tej K Tikoo (Retd), a Kashmiri Pandit, Vice President of the AIKS and the author of the book, Kashmir: Its Aborigines and Their Exodus;Tarek Fatah, a Canadian/Indian writer, broadcaster, a secularist and liberal activist and Bob Blackman MP, a Conservative politician and a strong voice on Jammu & Kashmir in the British Parliament. 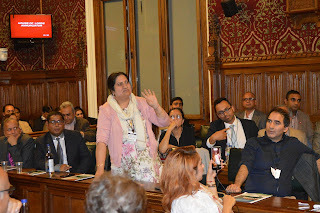 The session was co-chaired Kapil Dudakia, leading political commentator and Lakshmi Kaul, leading Kashmiri Pandit activist and founder of KPCS UK.Brief interventions were made by Ranbir Singh of the Hindu Human Rights and Syed Zafar Abbas from the Shia Muslim community. “It wasn’t easy organising a seminar on Jammu & Kashmir in a university environment. It was however, heartening to note the strong interest the seminar announcement generated among the student fraternity. Within days we had an oversubscribed registration list. A lot of opposition and doubt was raised by the miscreants questioning the seminar and its content. I commend the student organisers for making this seminar possible and demonstrating that truth only needs the will to be told. On this sad day that our community was forced out of our homes, it is heartening to know that finally perhaps some students and researchers may want to delve deeper into our suffering and write about them,” said Lakshmi Kaul, founder of Kashmiri Pandits Cultural Society UK (KPCS UK) and the organiser of this seminar. 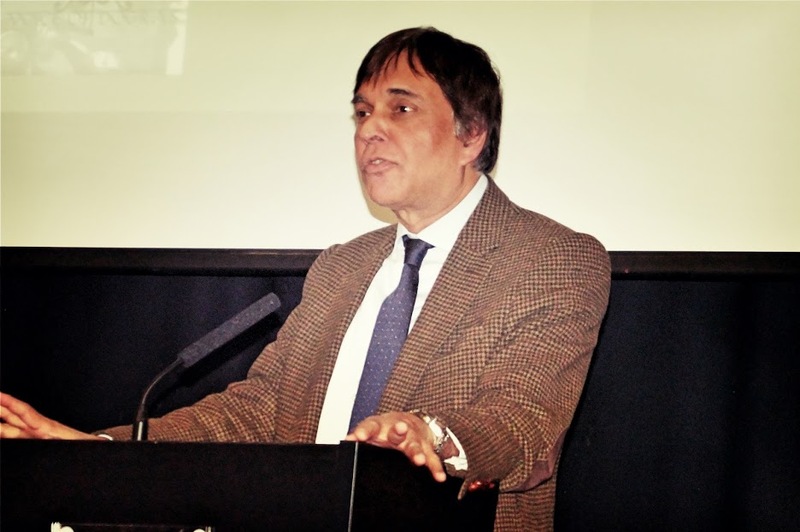 Dr Gautam Sen spoke about the role of the governments of India and Pakistan in the K issue and its internationalisation. Referring to the geo-political fall-out in the region, he said, “India has already defeated Pakistan thrice and it will never give up Kashmir. Its only worry is the geo-politics and the fact that Delhi comes under direct threat if Kashmir is under threat.” Going onto talk about the unique character of the state of J&K and the debate on Article 370, he said “Article 370 must not be touched at least not now. It will lead to civil war which Pakistan wants to internationalize Kashmir. It is unfair to say that Article 370 protects the people of Kashmir when its original inhabitants have been expelled and demography changed completely. The trouble in Kashmir is because of the armed insurgency by Pakistan. Infact Pakistan Army without Kashmir has no raison d'être; hence will never settle over it.” Dr Sen made a suggestion that the government of India must spend on restoration of homes of the displaced KPs and desecrated temples in the valley. Col Tej Tikoo spoke about the changing demography of J&K, the forced exodus of Kashmiri Pandits and its impact on the rest of the state. He shed light on the torment Kashmiri Hindus had to undergo since 1948 including marginalisation & subjugation. He said, “the whole Jammu & Kashmir issue has been hijacked by a stretch of land between Verinaag and Uri heavily populated by Sunni Muslims. From 1971 to 1989 it became a political conflict and it did not become a religious problem until Zia UlHaque came into power in 1977.” He added that Islamic radicalization was the reason why we had to leave our homes and flee to save the lives and honour of our families, especially women. Bob Blackman MP talked about the representation of the K issue in the British Parliament and the need for highlighting the Indian perspective. He said, “the MPs will represent what their constituents lobby them for and if you do not lobby your local MP about your plight, nobody will speak on your behalf. 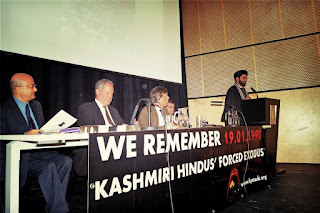 You must document personal stories of tragedy and share them extensively so that people are aware.” He made a strong plea for opening of Holocaust museum for Kashmiri Hindus in London to educate about dangers of Jehadi radicalisation. 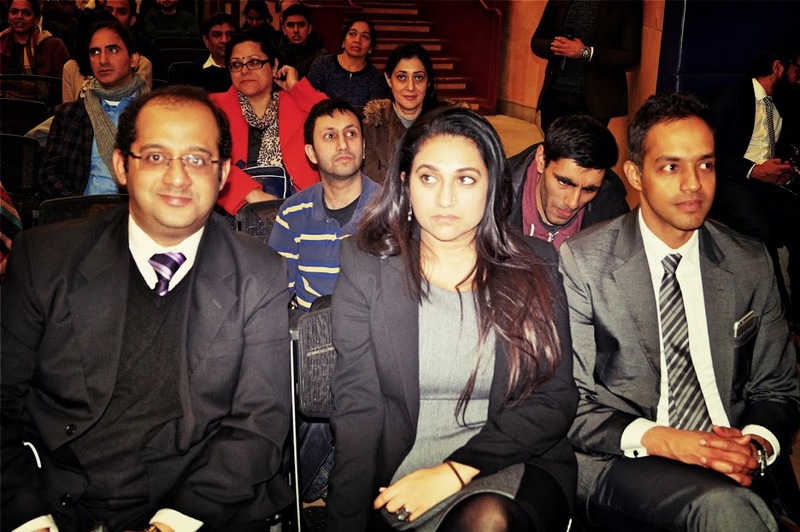 “Kings’ College London India society has taken part and supported the broken silence: understanding jammu and kashmir. As it allows students to gain a detailed first hand perspective on issues in the region. This offers students an opportunity to enhance and develop their knowledge, but also provides a platform for students to share their views and insight,” said Jaymin Patel, President of KCL India Society. “Voice of Dogras is supporting the Seminar which marks the the shameful chapter in J&K's history, a day when the mass exodus of Kashmiri Pandits cleansed the Valley of its original inhabitants. Reminding ourselves of the past is a way to make sure we do not repeat history and work for a better future. The Seminar is path breaking because it also touches upon the perspectives of the other communities who call J&K home and how they have been impacted by conflict. VOD believes that everyone has a right to tell their story and this Seminar attempts to do the same,” said Manu Khajuria, the founder of VoD. It's simple really... Click here and type in a small para about why you think KPCS deserves to win. That's it! We at KPCS pride ourselves in being inclusive and democratic. We value our volunteers who plan, nurture and execute community projects that enhance the exposure to our dying culture. We lead by example, work with Kashmir diaspora and other groups to spread awareness of our heritage and roots. We have created awareness in the British Parliament as well as in the local public. 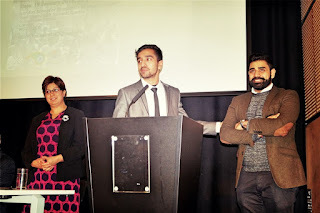 If you support the work that we do please vote for us.... and tell the organisers how we made a difference to your connection with Kashmir. On behalf of Team@KPCS I request you to extend your kind vote and support to us. We have grown from strength to strength because of the fantastic spirit of team work and volunteerism. Each idea we came up with has seen the light of the day and concretised Ito successful projects. My personal gratitude and thanks to each one of you for having made the journey thus far, worthwhile! Please do make your vote count if you support and appreciate our work. 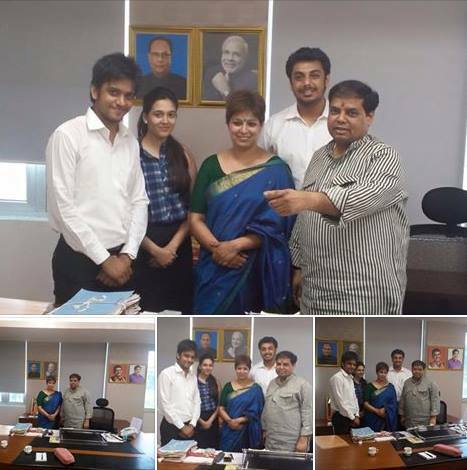 A delegation led by Lakshmi Kaul, an activist and campaigner based in London met with Hon'ble Minister of State Sh. Pravin Pote Patil to discuss the plight of Hindu minorities in the J&K region including the refugees in West Pakistan. Mr. Pravin Ramchandra Pote-Patil is the Minister of State for Industries & Mining, Environment, Public Works (excluding Public Undertakings) and the President of P.R.Patil Group of Educational Institute. 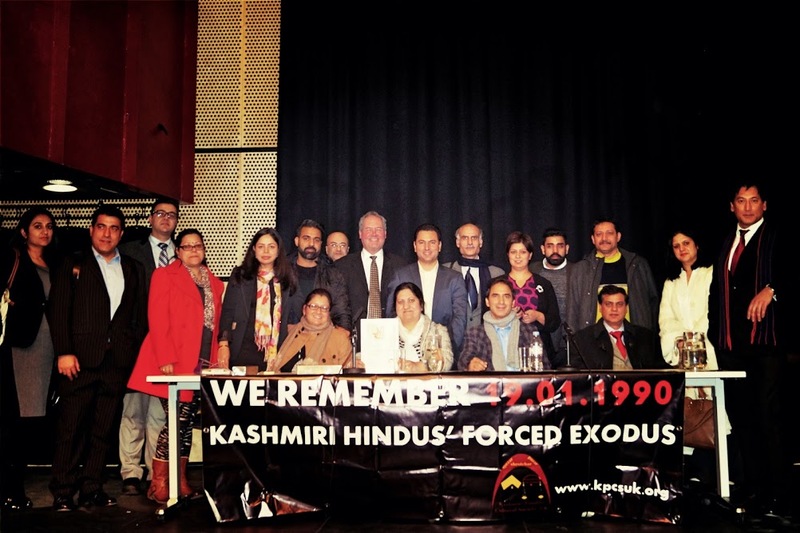 Lakshmi Kaul is the Founder of the leading organisation on Kashmiri Hindus, the Kashmiri Pandits Cultural Society, UK, and the Chair of Public Relations for Hindu Forum of Britain (an umbrella body with a membership of over 400 temples and organisations in the UK). For the meeting with the Hon'ble Minister, she was joined by Siddhartha Acharya, a lawyer, activist and film maker who has made the film "Abandoned Cranes" on the plight of Kashmiri Pandits that was screened at the British Parliament, Prerak Sharma, lawyer & activist and Apoorva Khandeparkar, student and activist. During the discussion when the delegates brought to the Hon'ble Minister's notice how there were a number of displaced communities of Hindus that could not afford higher education and were living in abysmal condition, Mr. Patil was quick to offer atleast 100 free seats every year to deserving students from the affected communities in the P. R Patil Group of Educational Institute in Amravati, Maharashtra. The minimum fees per year per student is around INR 80,000 which has been completely waived off for the atleast Hindu Refugee students. However, boarding and lodging will need to be arranged for the duration of the course. There are over 50 million people world over who have had to flee their homes owing to human rights violations. "I am highly touched and impressed by Hon'ble Minister Sh. Patil's commitment to help out the students in need and keeping them on the career path. Being able to remain on the education and career the refugee families will have hope of a secure future while they seek asylum and justice. The interaction with the Hon'ble Minister and his understanding of the needs of the communities suffering is notable. I was particularly moved by his devotion and extra effort into ensuring that this discussion concretised into action. We also discussed the need for greater interaction and association between communities in India and the UK," says Lakshmi Kaul who was particularly impressed by how approachable the Hon'ble Minister of State was to the members of the public. 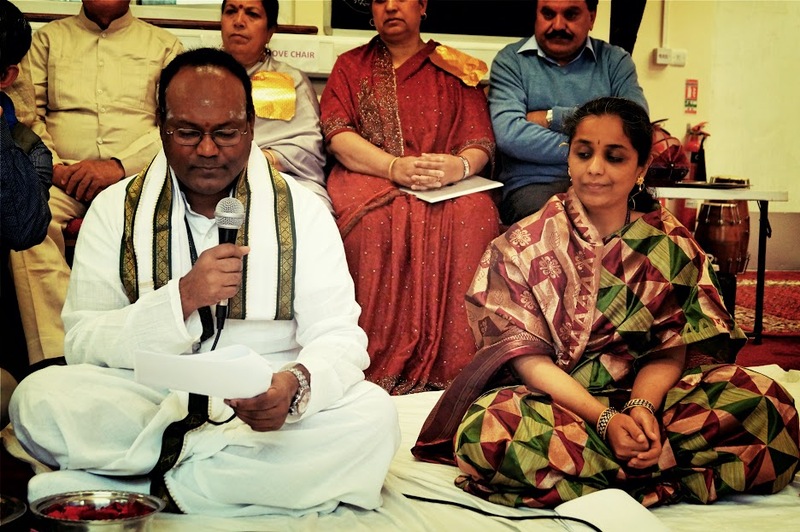 Hearing the announcement Ms. Trupti Patel, President of Hindu Forum of Britain sent her best wishes to the Hon'ble Minister and has extended an invitation to him to meet with key representatives of the Hindu community in the UK. "We are very grateful to Mr. Patil for his support to the students in need, especially the refugee Hindu communities in West Pakistan," said Ms. Trupti Patel. The annoucement has been welcomed by the members of the local communities in J&K. 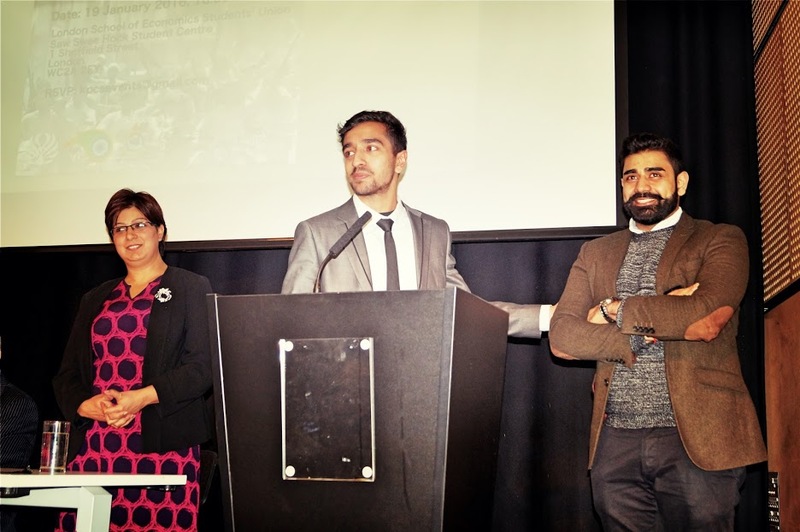 The London based Dogra activist, Manu Khajuria commended the effort saying, " Brilliant work! The West Pak Refugee youth are in such dire straits..doing it for them makes it truly historical.. never done before. Congratulations!" The team also met the Hon'ble Union Minister for Road Transport, Highways & Shipping, Sh Nitin Gadkari who congratulated the Hon'ble Mr. Patil for his generous support the refugees from J&K region and extended his blessings to this initiative. 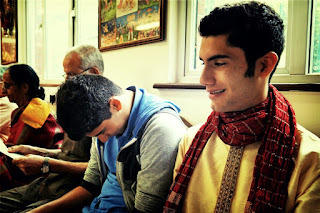 Hundreds of Kashmiri Hindus from in and around London attended the 2nd Annual Kheerbhawani puja and hawan at Rama Krishna Temple in Romford (East London) on Sunday, 14th June 2015. 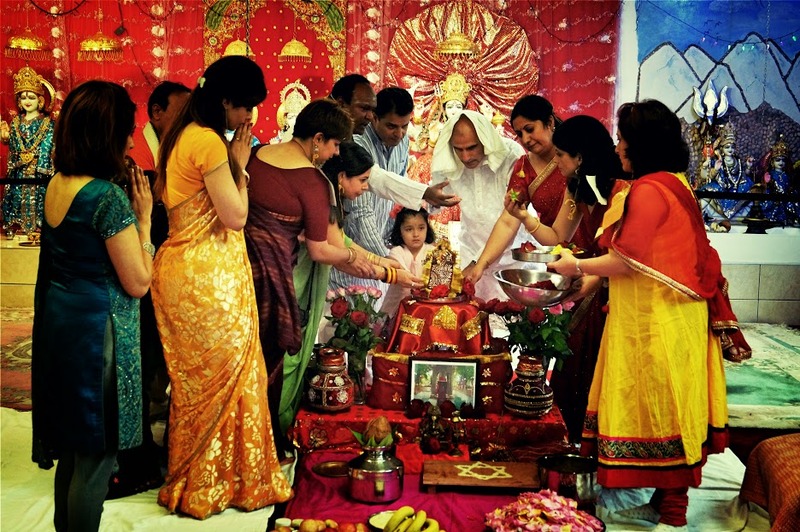 Organised by the Kashmiri Pandits Cultural Society, UK the effort was to recreate the actual Kheerbhawani puja held in Kashmir and continue the religious traditions of the Kashmiri Hindu community. 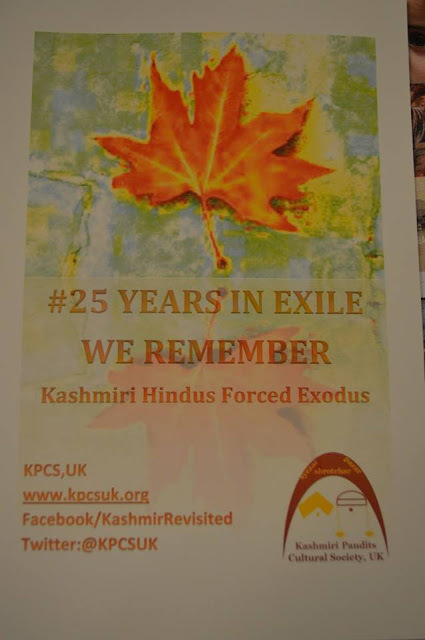 A scattered community of around 400 families across UK, the Kashmiri Hindus, the Pandits are a community in exile now in the 25th year. Through the years in exile, some of the community members have gone on to make careers and build their lives for the better however, owing to having been uprooted from their homes the struggle over the years has not only remained limited to the geo-political demand but also of identity. KPCS UK for the last 4 years has made a huge difference to the community cohesion as well as awareness of not only the Kashmiri Hindu cause but also their religious, social, cultural traditions. 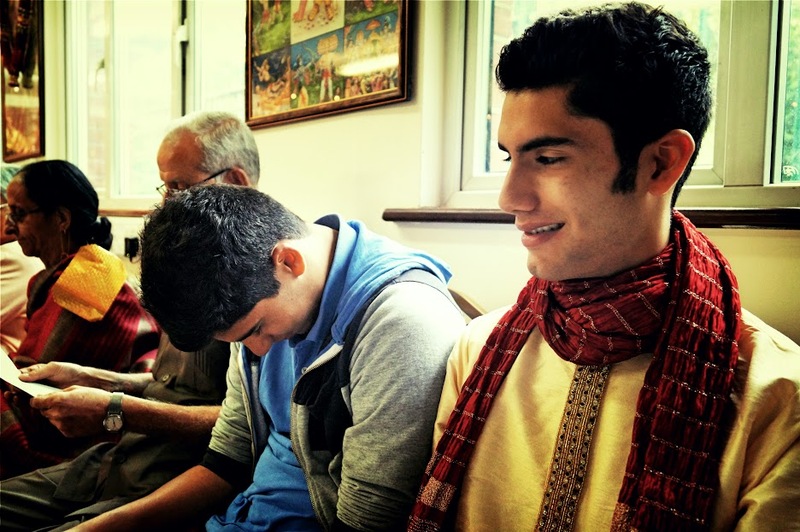 "Our effort has not just been to organise a puja but it is an effort to learn the religious traditions and build awareness of our heritage and practices among those living in the UK who are not Kashmiri. The Kheerbhawani puja is a classic example of one such effort where non Kashmiri priests have picked up the tradition and religious practice that is so unique to the Kashmiri Hindus (Pandits)," says Lakshmi Kaul, Founder & Executive Member of KPCS UK. 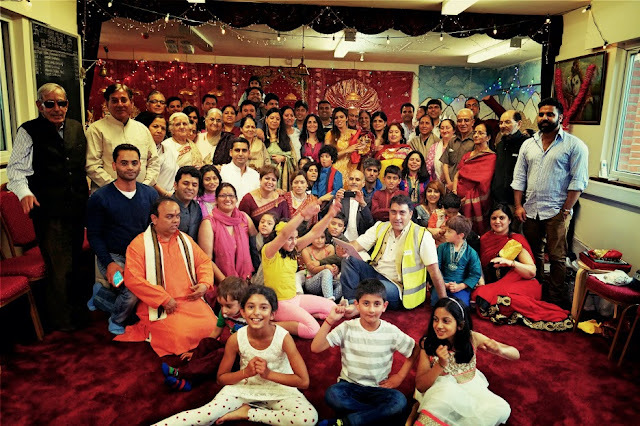 The puja held in Romford was the second one in the UK, the first ever having been organised in Southall at the Vishwa Hindu Kendra last year by KPCS volunteers. 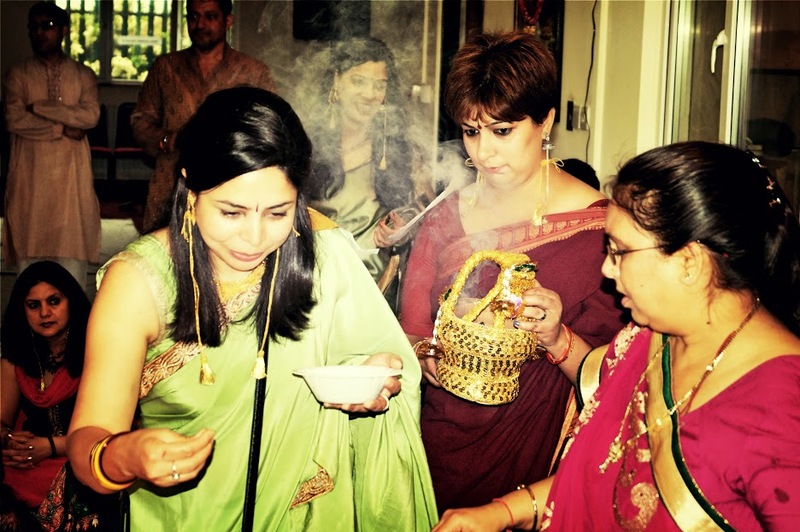 The hawan and puja was conducted in the methodology followed at the main Kheer Bhawani temple with the mother Goddess seated inside a water body and offerings made to her at the hawan. 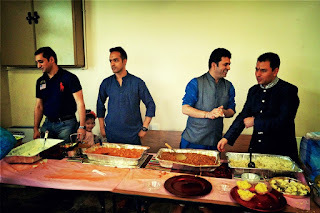 "We had a wonderful puja and havan of Mata Tulmul Khir Bhavani (Kshira Bhavani) of Kashmir. Felt totally blessed. Thanks to all the Kashmiri Hindu members at KPCS," says Madhava Turumella, a Hindu scholar and priest who conducted the hawan along with the Shri Rama Krishna temple, Romford Priest Sanjay Pandit. "It is wonderful to see our community connecting to roots and initating young children in these events," says Sunil Raina from New Delhi, India. " Kheer Bhawani is a temple dedicated to the Goddess Kheer Bhawani (originally just Bhawani) constructed over a sacred spring in Kashmir.The worship of Kheer Bhawani is universal among the Hindus of Kashmir. The temple is situated at a distance of 14 miles east of Srinagar near the village of Tul Mul. The term kheer refers to rice pudding that is offered in the spring to propitiate the Goddess, which became part of the name of the temple. 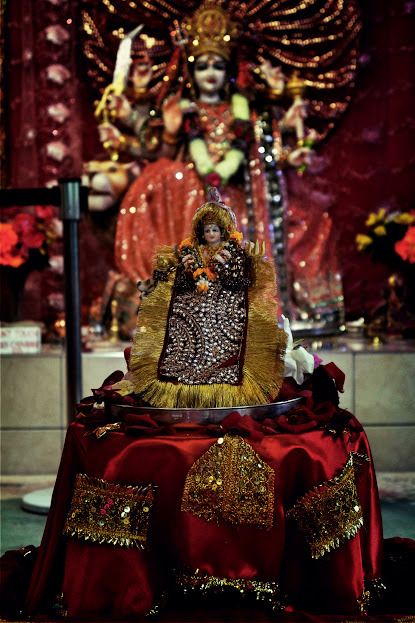 As is the custom with Hindu deities, she has many names: Maharagya Devi, Ragnya Devi, Rajni and Ragnya Bhagwati. Because of the forced exodus in 1989-90 from the valley, Kashmiri Hindus have struggled to continue the tradition of going to Kheer Bhawani temple in Kashmir. Traditionally, an annual festival is held at Kheer Bhawani temple on the Jesht-Ashtami (may-june) when Hindu visit the temple and offer prayers and perform hawan to please the mother Goddess. The historic temple was built by the then Dogra ruler of Jammu & Kashmir, Maharaja Pratap Singh. Later it was renovated by Maharaja Hari Singh in 1912. Get in touch: Write to Us! Diwali Celebrations and an ode to Team@KPCS! Team@KPCS commemorates KP Forced Exodus day: London Awakens to the truth!